In today’s world, everybody wants to be able to express themselves through what they are wearing. Not only will our brand give our customers that opportunity, but also become a part of a tight-knit collective, whose values are very community-driven, that is exclusive to the city of San Antonio. "Rair is a new and up-and-coming underground streetwear clothing brand that is based out of San Antonio, Texas. Our focus is to provide the youth with a fresh new wave of affordable clothing with cool visuals, bold colors, classic materials, and our signature embroidered designs. When was Rair Threads founded? I ended up creating my first ever hat prototype towards the end of 2017 after getting introduced to designing on Adobe Illustrator and wanting to put my new skills to some use. Officially, Rair Threads was founded in January 2018 to kick off the new year, with our website (RairThreads.com) officially launching in August 2018. Why did you want to create this company? What started as a passion to wear and design my own clothes, eventually turned into a school project for one of my classes when we were tasked to come up with an idea and create a business plan for it. After the class ended, I felt like I was ready to run my own company, and so by building off of my new business plan, I decided to use my summer to turn my project into a reality, and officially turned my hobby into a full-fledged business. Entrepreneurship and art. I feel like I was here on this earth to build a community through my creations, which is the ultimate goal for our business here at Rair Threads. I am constantly striving towards building something better than my last project, as well as stepping out of my comfort zone to try something new, so I am always improving. What inspired you for the design of your clothing line? 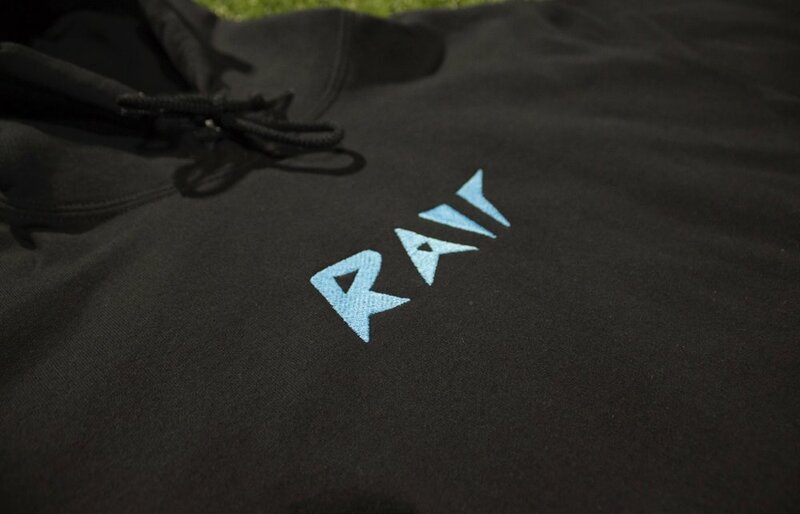 The Rair Threads team was focused on making a minimalistic streetwear clothing brand that would match well with some of our favorite sneakers. Anybody can appreciate our simplistic style, it’s something that resonates with a large audience, although we definitely kept sneakerheads in mind when we created our designs. I have always wanted to rock a bold colored t-shirt with a lightning bolt on it, so once we made that, it ended up inspiring us to create the CLOUD Tee to release alongside our BOLT Tee as well as some other designs to follow a sky/space theme. From there, we have the STAR & MOON designs planned to release very soon now that our website has officially launched, and our ROCKET & UFO designs shortly after that, which will conclude SZN_0. What is the future of Rair Threads? Starting off local, we are working towards becoming the premiere streetwear clothing brand for San Antonio and giving this city a proper home for streetwear culture through the Rair brand. As we conclude SZN_0 we are beginning to work with more professional designers to prepare something special for our next big Rair clothing drop to take things to the next level, as well as collaborating with local talent around the city to put together events in order to build an exclusive community for our fans.